There’s no doubt that plastic harms the environment. From the iconic Chris Jordan pictures of the dead Albatross chicks on Midway Atoll, who died from starvation after mistakenly being fed plastic by their parents, to the countless images of marine life caught in discarded fishing line or other plastic that should never have made it into the ocean in the first place; from the reports of whales dying after ingesting golf balls, plastic bags and DVD cases; there are articles and stories all over the internet regaling tales of how plastic is damaging our marine life. It’s not restricted to the oceans, with plastic washed up on beaches and littering the landscape, and land animals are also ingesting this plastic. It harms people too – the people who process plastic for recycling by melting it down, the people walking through rubbish tips finding plastic to sell, and the people whose environments and waterways are littered with plastic. 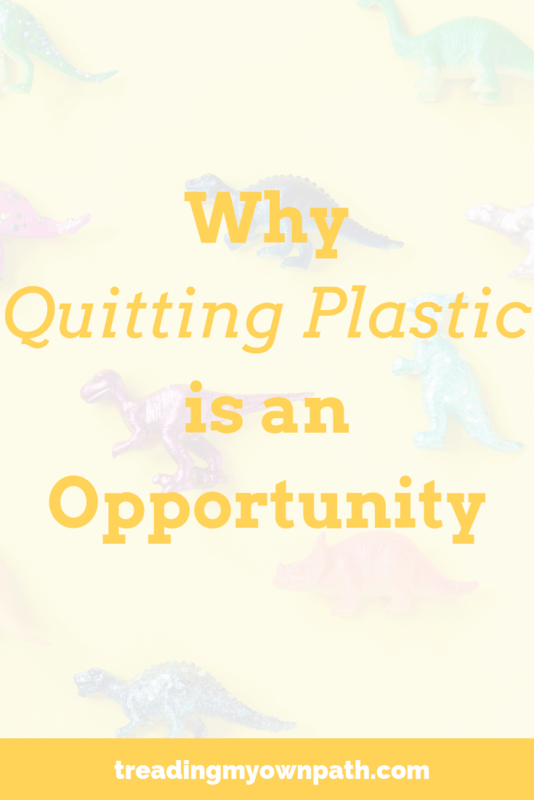 When I first decided to quit plastic, it was because I cared about all these things. I care about the environment, I love being out in nature, and I also believe in social justice – and plastic affects the poorest people in the poorest countries the most. I cared, but was I doing much about it? Probably not. I didn’t want to be adding to the problem, but in some ways I was. I certainly wasn’t helping to solve them. Before I really understood that plastic was causing all these problems, maybe I could justify my inaction. But once I knew, how could I not do something to make a difference? It is a great feeling, beginning to align your behaviour with your values. Rather than thinking, in the future I’ll do this, or when I retire, I’ll change that, making a stand for what you believe in every time you make a decision – and we have these choices every day – and starting RIGHT NOW. Being done with the excuses – I don’t have the time, I don’t have the money, I’m just one person – and accepting what it is that I can do. What we can do. Maybe we’ll never be the CEO of the bottled water company, and we won’t be able to change their policies alone, but we can stop buying their products, and we can start now. Before I quit plastic, I shopped regularly at supermarkets. Now, I rarely go there at all. I support local businesses that add value to the local economy, rather than big multinational companies that have complex tax structures and often don’t even benefit the countries whose communities they sit in. Before I quit plastic, I’d buy junk food, particularly when it was on ‘Special’ (and isn’t it always on ‘Special’?!). Now I avoid plastic, the only treats I buy are those made with real ingredients, freshly crafted and without preservatives, additives and fillers. Often I bake my own – many things take a matter of minutes to prepare. My diet is a lot better and I have far more energy, and so does the rest of my family. Before I quit plastic, I’d use conventional shampoo, moisturizer and shower gel without realizing they contained irritants and carcinogens, and buy brands that were marketed at me the hardest – meaning big pharmaceutical giants. I’d clean my dishes and my kitchen worktops with products marked “hazardous”. Now I’ve discovered that it’s possible to find natural skin and haircare products with safe ingredients, and I use green cleaning products like bicarb and vinegar to clean my home. Before I quit plastic, I’d buy things I needed from the shops, all wrapped in plastic. Now I’ve discovered the joy of second-hand stores, charity shops and asking friends to borrow items rather than buying my own. I’ve embraced the sharing economy, starting with my local library…and I’ve saved money in the process. None of these things happened overnight, but over time they did happen. It started 3 years ago when I made that one simple decision to have less plastic in my life. That’s a decision that you can make too. Now it’s your turn – I’d love to hear from you! Have you quit plastic, or started to reduce the plastic in your life? What benefits have you found, and how many were unexpected? 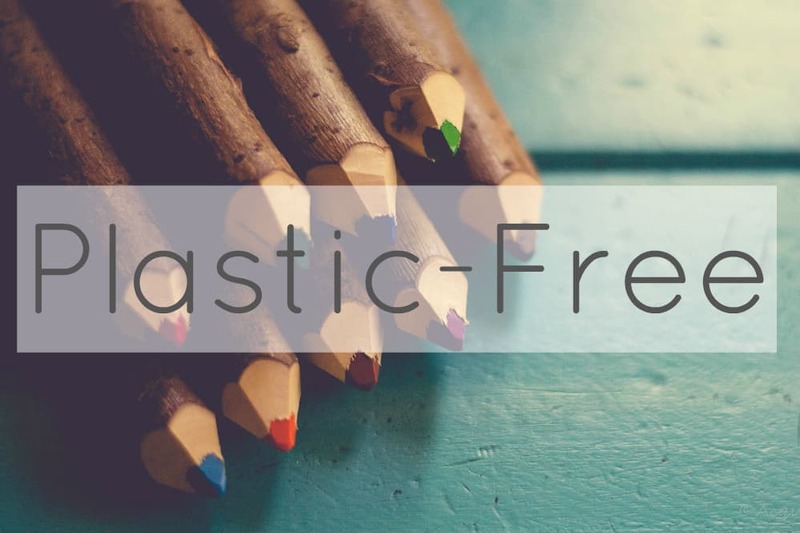 What’s your favourite thing about living plastic-free? 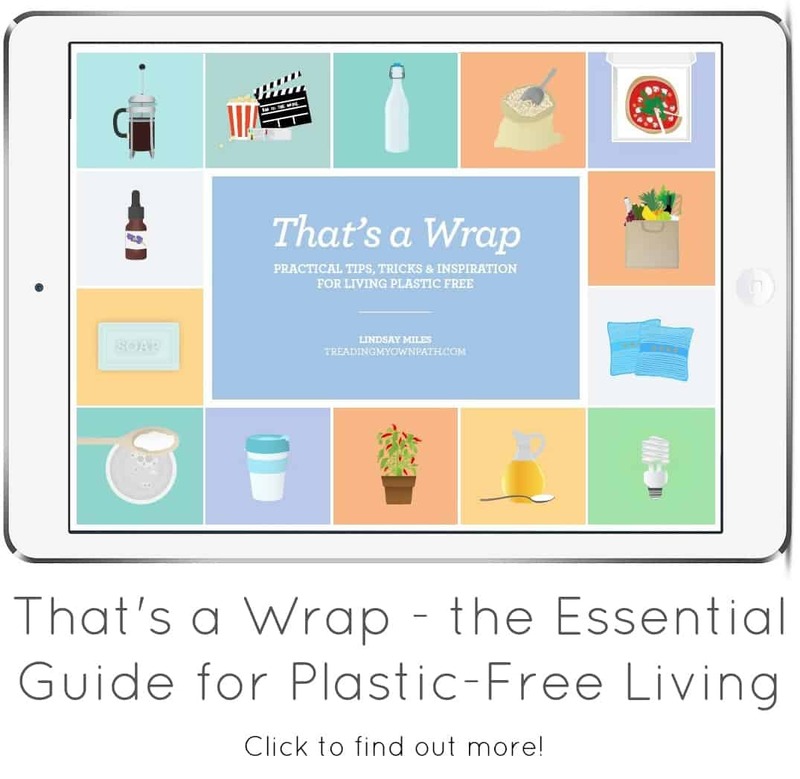 Maybe you’re just starting out – in which case, what appeals to you most about plastic-free living? We’re all in this together and I’d love it if you shared your thoughts and ideas in the comments below! 25 Comments • Leave a comment! I have started taking small steps, slowly replacing items as I run out of my current ones e.g. I’m now using your coconut oil and baking soda toothpaste idea. We are minimizing what single use plastics we buy, and being more aware about plastic and over packaging when shopping. Being in a small town with only one supermarket makes it tricky but it’s worth the extra effort that’s for sure. Thanks so much Victoria! 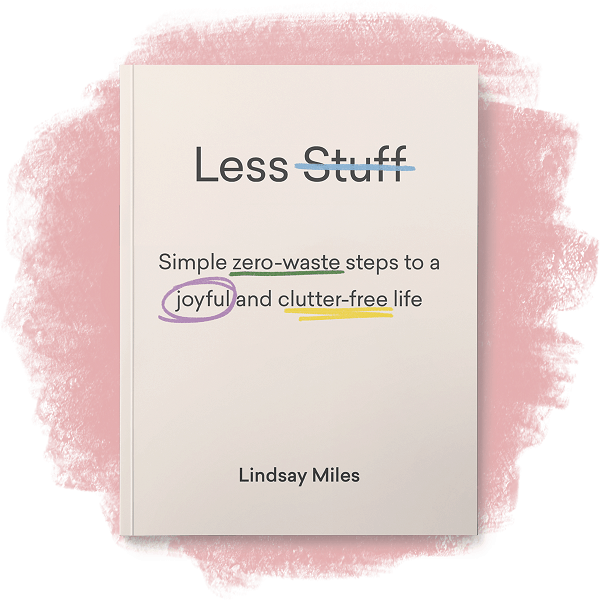 Your small steps sound perfect – there’s no need to rush about trying to change everything at once, getting overwhelmed in the process! Something else to know…what seems like an extra effort at the start fades away as you build habits an then you barely notice! Lindsay, you always make think about my effort after reading how mush passion you have for this lifestyle. I do not make my own toothpaste or deodorant, I buy lush toothy tabs, and lush deodorant both chemical free and plastic free and I am also using up the last of my ‘green’ cleaners by the eco-man, before I take the next step to eliminating more plastics. Awesome as usual and motivating :) Thank you. Aw thanks Ecowitch! What a lovely comment : ) Do you think you’ll switch to making your own toothpaste and deodorant, or are you still undecided? I’m intrigued as to what your next steps will be – do share! I’m finding switching products tricker than I thought. I’ve also tried the Lush toothy tabs, but still have great concerns about not getting any fluoride. After all, scientific tests have proven Fluoride is the only reason for the decline in tooth decay over the past 50 or so years. I didn’t know Lush made a deodorant, so I may have to look again in the UK stores. I have switched to their solid hand cream, shampoo bars and conditioner bars. However, I am as yet unconvinced that they are as good as ‘standard’ plastic packaged products. Do others feel that you have to make a compromise over quality/ end result when using natural alternatives? I tried making my own mouthwash, but I had just as many concerns about putting essential oils (which I am uncertain should be used in such a way) in to my mouth, as I do with manufactured mouthwash. They were also not as effective and seemed to be damaging my teeth, so I’ve stopped for the time being. I also wanted to stop using antibacterial spray in my kitchen. However on a recent basic food hygiene course, the trainer strongly advocated its use if you have pets in the kitchen. (I have cats who walk all over the surfaces). Having fully researched it, he was right that vinegar wouldn’t be effective at killing the sorts of germs that come off raw meat or cats paws. I tried steaming the surfaces, but they never got hot enough to kill the germs (despite hot steam coming out of the machine). And so, I find myself going back to the antibacterial spray. It’s wearing after a while! It’s interesting that you’re concerned about not getting enough fluoride, because so many people go to great lengths to avoid it altogether. It’s a poison after all. Is there any fluoride added to your water? I definitely don’t feel that I have to compromise quality, no! But there are some shocking natural products out there! 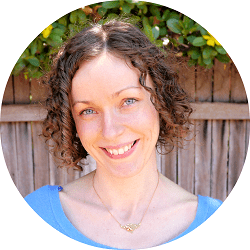 In my experience, it’s better avoiding the generic health shop overpackaged natural products, and looking for sellers at markets or on Etsy who can talk you through how they make their products. Ingredients like shea butter, oils etc are far better for our skin. Oil-based products are denser and you need far less so they last much longer than you might expect. Remember that lots of manufactured products use phthalates to make them slippery and seem super absorbent, and use emulsifiers to thicken so they can add water to a product to increase profit. Often these products have water (aqua) as one of their first ingredients – and we’re paying for that! Regarding cleaning products, you can get stronger vinegar (I can buy 10% vinegar) for cleaning. Studies have shown vinegar can kill E. coli and Salmonella. You can also use alcohol to sterilize surfaces. If you are still not convinced, why not get some wooden chopping boards to place on the counters when you work, which you can wash and put away to avoid the cat walking on them?! I hope I’ve given you some ideas and I’d love to hear your thoughts! The last few posts here inspired me to take the plunge and order several reusable items that I have been eyeing for awhile. I ordered: a lunette cup, a vintage safety razor, more produce bags, a shampoo bar and a brush for cleaning reusable straws. I was especially proud because I was looking at safety razors on Amazon, but then remembered that buying vintage would be more sustainable! These razors apparently work better anyway. It was also made in the U.S. (My country), and supports an etsy shop. I am anxiously awaiting the packages! And, I asked that they all be shipped without plastic. The seller of the razor messaged me to ask if I wanted to wait for their shipment of paper tape. I said of course I will wait a few extra days! That’s awesome Stargirl! I try not to advocate buying new things too much, but I definitely think some things are worth investing in – they make life so much easier! I would count everything you’ve listed as essential! When I first got a reusable straw it was stainless steel, and I didn’t have a brush, so it was not only hard to clean, but hard to tell if it WAS clean. And sometimes it wasn’t – yuck! 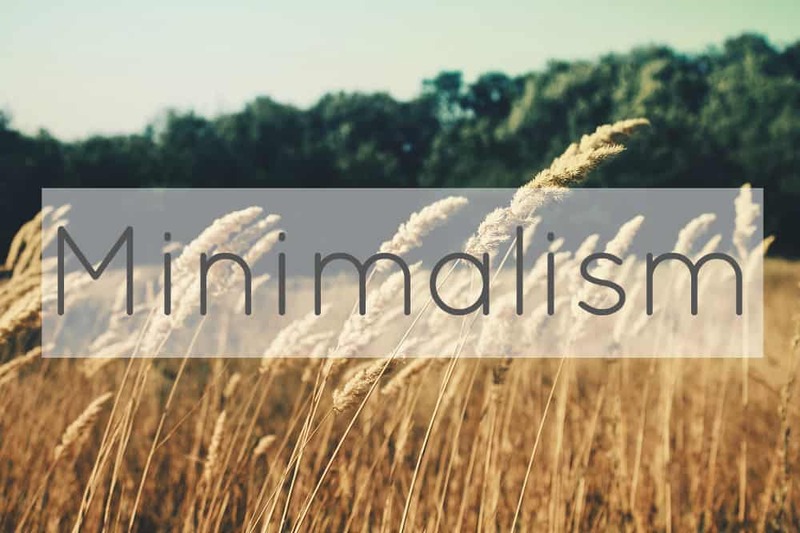 glutenfreeness: if vinegar is inadequate for your purpose, you could consider a “double whammy”. after the counter is washed and wiped with a soap and water routine, use a peroxide spray, allowed to dry, then vinegar spray, allowed to dry. not a lot of work, just a bit of wait time. use the 3% peroxide from the pharmacy, not the 20% or more from the hair products. 3% can bleach modestly, so watch carefully if your surface could be affected. peroxide is a protein agitator and destroyer of cell walls. vinegar alters pH to an unlivable level for many organisms. Thanks, had not heard of using peroxide. I have some in the cupboard from my attempt at a homemade stain remover. It totally didn’t work for that! Ha Will have to check percentage but it was bought from a pharmacy. If you care to read down through the comments, it would seem that hydrogen peroxide is completely ineffective against some of the nastier bugs. However, I will continue to read around the subject. I have a science background, so I really want some hard evidence to back things up which I haven’t had enough time to find yet! When we had mould in our bedroom, we used 10% vinegar ,tea tree oil and methylated spirits and that was effective – not that I’d recommend methylated spirits for kitchen counters. But bleach can be ineffective against bugs, yes. When I was studying microbiology we used ethanol to clean our benches. I also meant to add that you are right, some (many) essential oils shouldn’t be ingested, but two that are effective are food grade oregano oil (you can buy it in health food shops) and clove oil. Not that you should be eating them! I had a chat with my dentist about this and she still uses clove oil for some treatments in her surgery – but she said too much will make your mouth numb so keep to a couple of drops! Thanks Lindsey, I will keep up my investigations! I am not plastic free, but I am much closer than I was even a couple of years ago. Yesterday I needed to shop to replace staples in my kitchen. I visited the Mennonite bulk store where nothing comes with fancy labels but every thing is packaged in plastic bags. It’s a trade off I hope to find an answer to soon rather than later. One step in the right direction is the choices I made for the garden. I have seedlings of my favorite beans which will eliminate on more item I need to purchase from the bulk store in plastic. That said I have made great strides. I carried my reusable bags with me to the store, I no longer purchase cleaning or hygiene products that are toxic or in plastic and I only purchase second hand clothing which is plastic free. 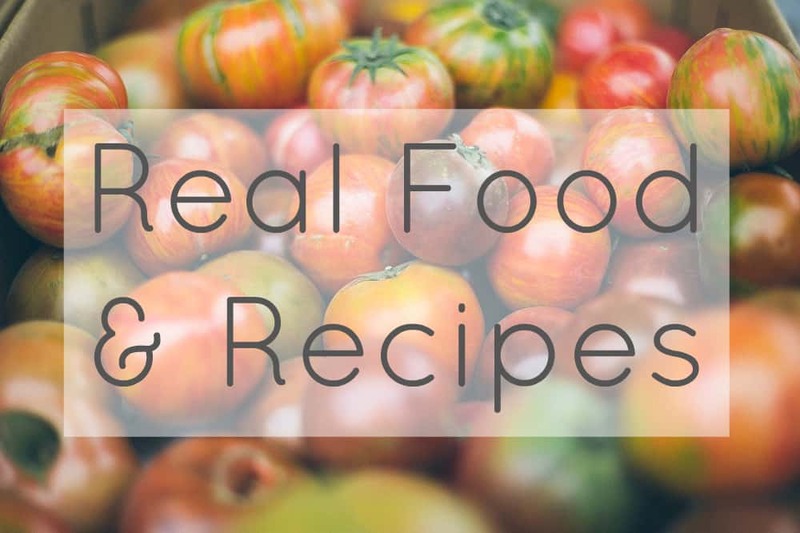 One positive outcome is that my diet is better and yes, wouldn’t it be nice to find organic produce on sale or at least at prices comparable to the junk food? Why should soda be cheaper than an apple? Moving to a new town must definitely disrupt the way you do things! Have you thought about talking to the store owners about the problems of plastic? I’d be interested to hear their thoughts on the subject! I definitely think it’s easier if you have a garden. I’m really looking forward to moving at the end of the year and being able to grow more of my own food. Of course junk food shouldn’t be cheaper than vegetables – and I would argue that it isn’t really, as you end up paying…but with your health. 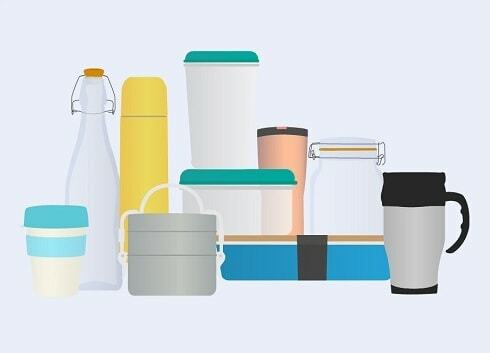 Wow, this is a great list of advantages of living with less plastic! I feel that living with less plastic is empowering in the sense that I started to wonder where stuff comes from and how it is made, realizing that it often makes more sense to make them myself. Previously I simply thought that items such as body scrubs come from a factory and that there was no way to create such products yourself. I have also become more creative since I first started to reduce my plastic footprint. And I am now much more mindful of my consumption patterns. Nowadays I buy most of my food local and plastic-free, from small-scale producers. Stuff other than food I try to not buy, get second hand, borrow, or buy locally. Yes, the journey towards zero-plastic definitely has enriched my life. Thanks for your lovely comment Annemieke! I would agree with you. It is definitely empowering, and being able to connect with where things come from and understand how much politics is involved was a real eye-opener for me. And yes – the delight in learning that it’s really easy to make things ourselves that work just as well! Good continuation of the previous posts. Particularly impressive picture carts with plastic waste. This polymer knockout for the environment. We recycle combustible waste in the retort. The retort is also used for water heating. 10 pounds of dry debris heated barrel of water per cycle. It’s only been about 4 months since I really started to make changes. I use reusable grocery and produce bags ( the produce bags I made myself). I buy milk in glass jugs, I’ve bought lush bar shampoo and soap, I carry my own water bottle and stopped buying bottled water. I buy my meat and deli from the meats department and ask that it only be packaged in paper, instead of going for the pre-packaged stuff- I get a funny look from the lady behind the counter but I don’t care. I stopped buying zip-locks and bought paper sandwich bags- my kids loose their lunch boxes and lunch containers ALL the time, so paper it is! I still go to the market a lot, but try to be conscious of packaging, if there’s a glass or paper alternative I chose that one. My next step is to start baking our own bread. 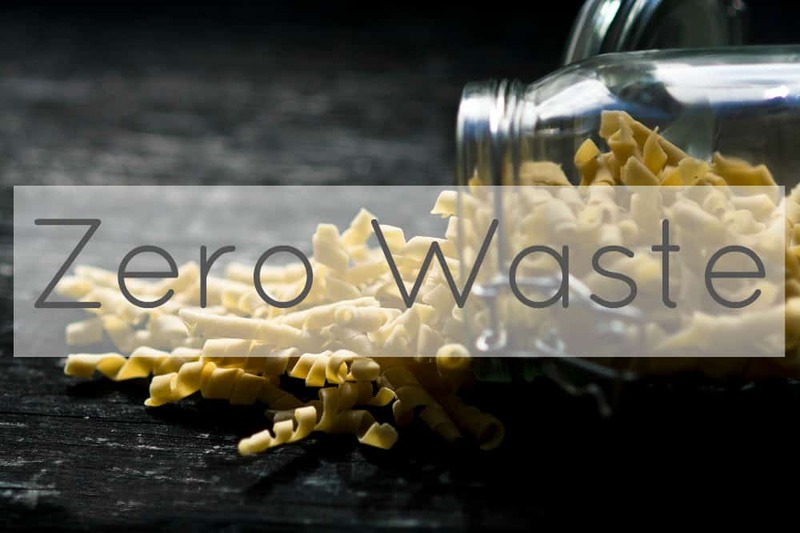 I’m far from being zero waste or plastic waste, but will keep taking small steps. That is so great Sarai, thank you so much for sharing! Treat those funny looks as a badge of honour ;) It’s all about small steps, one after the other. No-one ever made ALL the changes on one day! Keep going, know that we are cheering you on! It’s a challenging and inspiring journey for sure. While our reuse is high and our waste is minimal compared to many households, we have a long way to go. 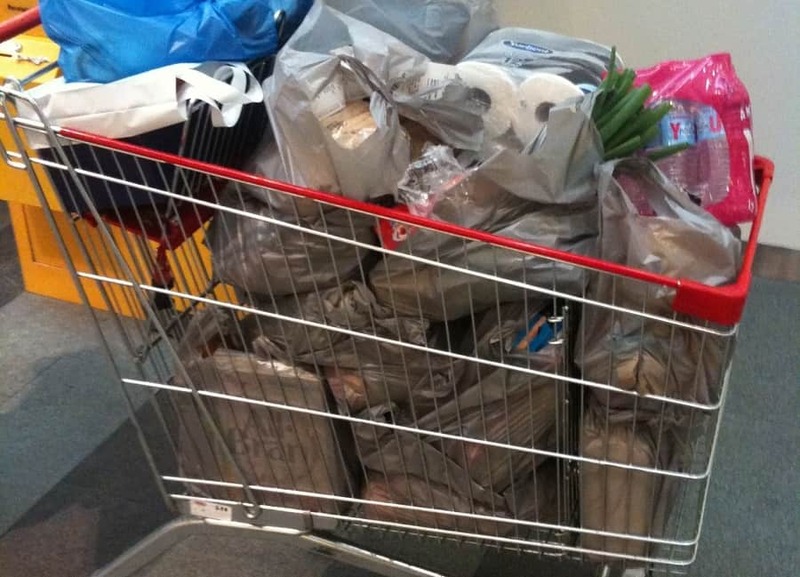 I’m recycling some (clean) soft plastics (at the supermarket – hubby’s job!) But our bin is still full of dirty soft plastics, foil lined bags, and the odd non- recyclable thing. 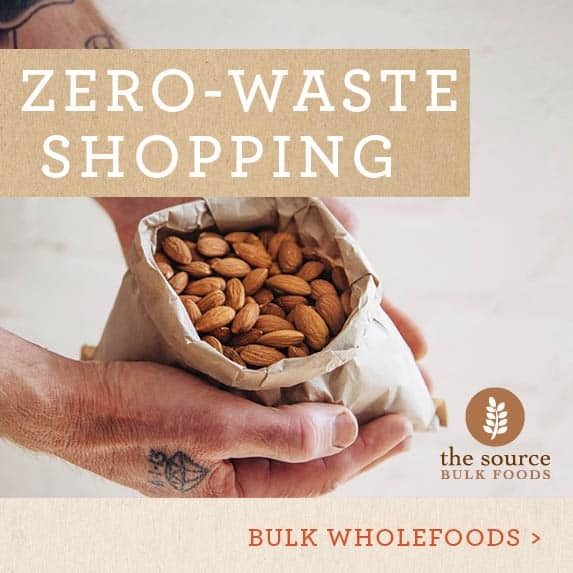 My awareness is growing and I love that we compost (now meat scraps and cooked foods too, in bokashi) as I can take any compostable items home from outlets and use them.